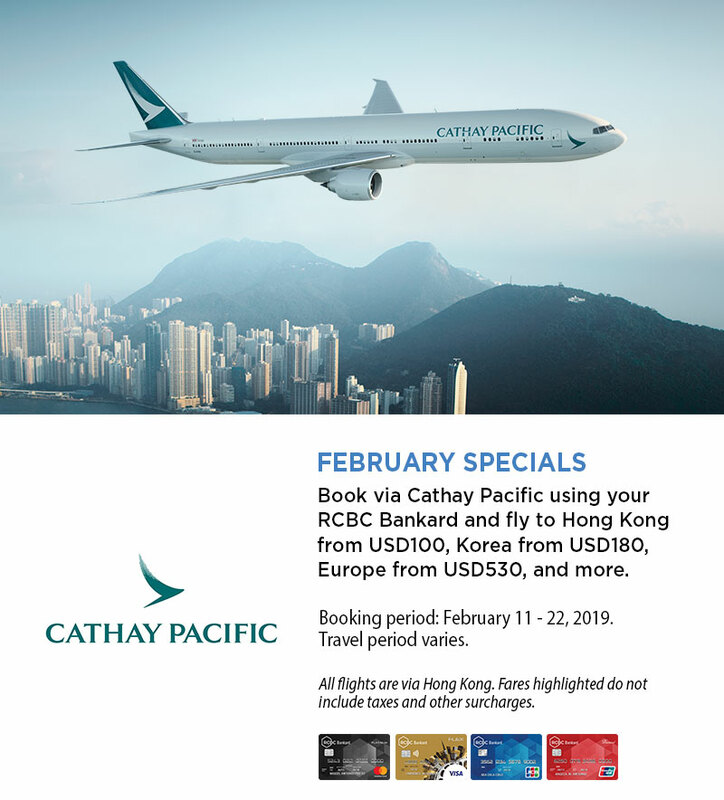 The Promo is open to all RCBC Bankard Principal and Supplementary cardholders (except holders of AirAsia card) whose accounts are active and in good credit standing. Selling period is from February 11 to 22, 2019. Promo is not valid in conjunction with existing promotional offers of RCBC Bankard and the Merchant Partner. In the purchase of goods and services which are on promotional discount, a senior citizen can avail of the promotional discount or the discount provided under the Expanded Senior Citizens Act of 2010, whichever is higher. Select preferred destination from the highlighted choices on the seat sale. Make a booking and select preferred dates. Enter passenger details and click “Continue” to proceed. Click the “Confirm” button if you agree with the Terms and Conditions. On the Pay Now Page, use any of your qualified RCBC Bankard credit cards to avail of the offer. Once payment is successful, you will be provided a copy of your itinerary receipt which shall be electronically transmitted to your specified email address.